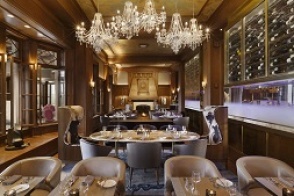 In the majestic decor of Champlain restaurant, enjoy a five (5) course Discovery menu. A classic landmark restaurant re-invented, featuring cutting edge regional cuisine created by one of Quebec’s hottest restaurant chefs - Stéphane Modat. the Champlain creates a unique and memorable culinary discovery that is second to none.